"Buyers are far more discriminating, and a large percentage of the homes listed for sale don't sell the first time. 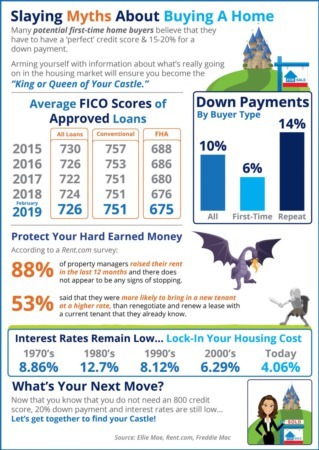 It's more critical than ever to learn what you need to know to avoid costly seller mistakes in order to sell your home fast and for the most amount of money." Remember not so long ago, when you could make your fortune in real estate. It was nothing then to buy a home, wait a short while, and then sell it at a tidy profit.And then do it all over again.Well, as you probably know, times have changed. As good as the market is right now, home prices are still below what they were at their peak. Buyers are far more discriminating, and a large percentage of the homes listed for sale never sell. It's more critical than ever to learn what you need to know to avoid costly seller mistakes in order to sell your home fast and for the most amount of money. 7. Failing to obtain a pre-approved mortgage†for one's next home. The reasons behind your decision to sell affect everything from setting a price to deciding how much time and money to invest in getting your home ready for sale. What's more important to you: the money you walk away with, or the length of time your property is on the market? Different goals will dictate different strategies.However, don't reveal your motivation to anyone else or they may use it against you at the negotiating table. When asked, simply say that your housing needs have changed. Settling on an offering price shouldn't be done lightly. Once you've set your price, you've told buyers the absolute maximum they have to pay for your home, but pricing too high is as dangerous as pricing†too low. 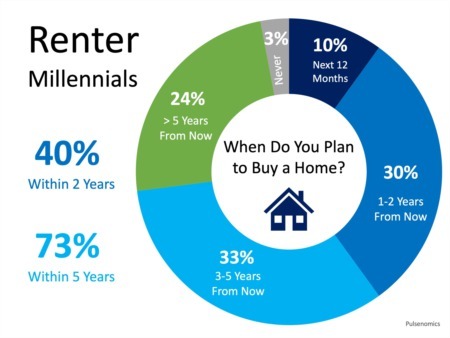 Remember that the average buyer is looking at 15-20 homes at the same time they are considering yours. This means that they have a basis of comparison, and if your home doesn't compare favorably with others in the price†range you've set, you won't be taken seriously by prospects or agents. As a result, your home will sit on the market for a long time and, knowing this, new buyers on the market will think there must be something wrong with your home. 4. Find a good real estate agent†to represent your needs. Nearly three-quarters of homeowners claim that they wouldn't use the same realtor who sold their last home. Dissatisfaction boils down to poor communication which results in not enough feedback, lower pricing†and strained relations. Another FREE report entitled, "10 Questions to Ask Before You Hire an Agentî gives you the straight, to-the-point questions you should be asking when you interview agents who want to list your home. You can obtain a† FREE copy of this report from my website. Each year, corporate North America spends billions on product and packaging design. Appearance is critical, and it would be foolish to ignore this when selling your home.You may not be able to change your home's location or floor plan, but you can do a lot to improve its appearance. The look and feel of your home generates a greater emotional response than any other factor. Clean like you've never cleaned before. Pick up, straighten, unclutter, scrub, scour and dust. Fix everything, no matter how insignificant it may appear. Present your home to get a "wow" response from prospective buyers.Allow the buyers to imagine themselves living in your home. The decision to buy a home is based on emotion, not logic. Prospective buyers want to try on your home just like they would a new suit of clothes. If you follow them around pointing out improvements or if your decor is so different that it's difficult for a buyer†to strip it away in his or her mind, you make it difficult for them to feel comfortable enough to imagine themselves an owner. You may be surprised to know that some marketing tools that most agents use to sell homes (e.g. traditional open houses) are actually not very effective. In fact only 1% of homes are sold at an open house.Furthermore, the prospects calling for information on your home probably value their time as much as you do. The last thing they want to be subjected to is either a game of telephone tag with an agent, or an unwanted sales pitch. Make sure the ads your agent†places for your home are attached to a 24 hour prerecorded hotline with a specific ID# for your home which gives buyers access to detailed information about your property day or night 7 days a week without having to talk to anyone. It's been proven that 3 times as many buyers call for information on your home under this system. And remember, the more buyers you have competing for your home the better, because it sets up an auction-like atmosphere that puts you in the driver's seat. For your part as a seller, make sure you disclose everything. Smart sellers proactively go above and beyond the laws to disclose all known defects to their buyers in writing. If the buyer†knows about a problem, s/he can't come back with a lawsuit later on.Make sure all terms, costs and responsibilities are spelled out in the contract of sale, and resist the temptation to diverge from the contract. For example, if the buyer requests a move-in prior to closing, just say no. Now is not the time to take any chances of the deal falling through. Studies have shown that it is more difficult to sell a home that is vacant because it looks forlorn, forgotten, simply not appealing. It could even cost you thousands. If you move, you're also telling buyers that you have a new home and are probably highly motivated to sell fast. This, of course, will give them the advantage at the negotiating table.For more information about any of our innovative homeowners programs, give us a call.